We get emails galore at The Child Development Center. The following exchanges (which took place over 7 months) are from one insightful, articulate and appropriately concerned mother. 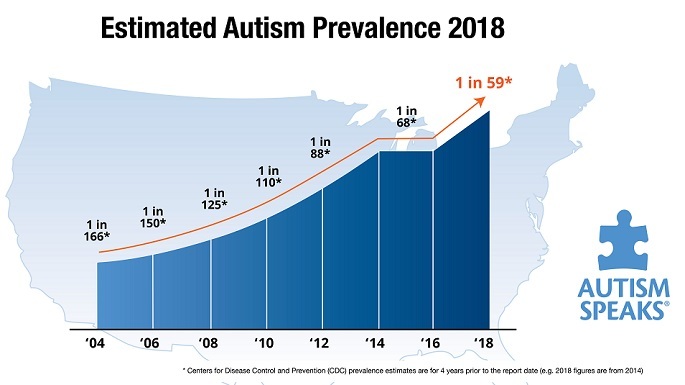 Such correspondence is representative of the majority of questions that accompany this complicated process of improving health so that therapies can take hold and reverse the signs and symptoms of the epidemic that is presently called ASD. This Mom covered it all! Mom: Hi doctor… I’m just scared that my son won’t play like other kids. I get depressed sometimes about this but do you think my son will be normal again. Do you think my son will be ok ? Will he talk soon? Dr U: We will do our best… we are quite successful, so let’s see how the first couple of months go, and you will know much better. Mom: He still he has not said a word yet. Still in a bit if his world. I know you told me baby steps, but how long? A month, two months? I’m anxious. Thank you for listening to me. Dr U: Is he babbling any more, pointing, using signs… other signs of increased communication? Mom: He moves his lips. On Saturday he said more. He doesn’t babble like a baby. He tries, but not that much comes out. He does point a lot. Mom: Hi doctor I’m sorry again, but do you think my son will be ok like the other kids playing with them talking? I’m just worried. No words are coming out of his mouth. Dr. U: That is what we are working towards. It is months that matter, not days or weeks. Mom: What is asd tympanostubi is that something bad what? Dr U: Huh? I think that you mean tympanostomy tubes… surgical placement of venting ducts in the ears for children who suffer repeated ear infections. In the past several years, I have become more comfortable with the procedure, especially since it decreases the intake of antibiotics. Mom: It has been two going three weeks and nothing yet… Do they get more aggressive when taking that probiotic, like… crying, or wanting to talk but can’t. You know what I mean, right? When should I expect him to talk? Do you think he will talk before he turns 3 or after? He’s a very intelligent boy. He knows his alphabet, numbers for his age. He’s intelligent but the thing is, he has to talk and play more – run, jump – more activities outside, so he exercises. Is he lazy? He wants to be sitting all the time. Dr U: Yes, the change in behaviors could be due to the probiotics, and his new development. So, I can’t guarantee or predict the speech, I can only promise that we can make him healthier and that should lead to typical development. Mom: Thank you for responding fast, but, what did you mean when you said that you can’t guarantee speech? That he won’t talk at all or he will? Will he be running like other kids do? Dr U: You worry a lot… that’s what a mom should do. Please keep doing the protocol and we’ll talk at the visits in more depth. Mom: Yes I worried a lot…But you are not answering my question. Will my son talk soon or not? What did you mean by “I can’t guarantee or predict speech”? Dr U: I want to be honest and reasonable. No one can predict those things with certainty. Again, let’s wait until the next visit and see the progress and we will be able to tell you more. Mom: I was reading about vaccines – do they cause autism? Do they contain Thimerosal? What About MMR? When he turns 3 years what should I do? With the blood work will you tell me if it was the vaccine that caused autism? Or was it genetic ? I read so many stories of autism that everyone tells you different stuff about it that makes me scared. Dr U: Since you are on the ‘net already, please read my blog(s) about this complicated issue. Dr U: Autism is one of the reasons for delayed development in childhood. Asperger’s may be one kind of autism. Mild to moderate means that there are behaviors that are good, and some that need to get corrected. If you want to read the Internet, www.theautismdoctor.com is very accurate. Mom: When do I have to stop the probiotic? When he gets constipated he is acting very alert and hyper – it’s that ok? Dr U: Please, don’t stop the probiotic… If things are ok we will move forward with this protocol. Mom: How did the blood work come out? Can you tell me something? Mom: I have some questions about the vitiams b12 injections; will that hurt, will it burn when the liquid is going in? Will my son be safe ??? I’m scared if I have to inject him. How will I do? Are those injection inside his skin like a vaccination – please tell me more about it??? My son will start school but won’t be able to talk. Also, he will be getting his tubes next week, what should I do? Mom: I want to ask you if hepatitis A vaccination is ok – that’s what he’s going to be getting. He will start School pretty soon. One more thing is the b12 subcutaneous – will that hurt if we don’t inject the right way? I’m afraid to inject my son – it is going to be my responsibility, if something happens to him. I don’t want anything to happen to him. Is that safe? I know I asked you that already, but my son is in your hands and I still don’t see any talking yet – no mouth movement. So, hopefully, with the school and the b12, there will be more improvement. He will also be getting his tubes in his ears next week. Dr U: Hepatitis A vaccine seems to be important – there was recently a HepA outbreak from some frozen berries in the western US. The mB12 shots shouldn’t hurt – think about a diabetic child who has to get 3 or 4 shots per DAY! Mom: I’m a little bit concerned. My son has been bleeding from his nose for two days. Could that be ’cause he is taking too much vitamins, or what could that? He bleeds, but not too much just from one nostril and that’s it. Dr U: It is normal, your son’s blood count is OK, and it isn’t the vitamins. Mom: My son had his ear tubes put in already and everything went great. But I’m still concerned that he’s still bleeding from one nostril. I’m going to make a doctor appt. That is not normal for him to be bleeding and it started when we gave him all that vitamins. I’m not to sure about giving him to much vitamins. What do you think? Dr U: I think that, if his development is moving along in a good way, you should stay that course. Mom: But the thing is he’s not talking yet. No mouth movement yet. Mom: I was given my son the medicine melatonin with yogurt but he threw up. What should I do? Dr U: Some patients have even put it on pizza (not too hot though), so it should work in anything – not sure why he vomited, but maybe try it in something else and let me know. Mom: I got the injections already. Should I start on Monday or wait another week with melatonin? What do you think? Mom: I need a letter from you with the diagnosis, so he can get more therapy. Please, if you can fax it to me… Anther thing I wanted to ask you is how long does it take for the vitamin b12 injections get effective for my son to talk or say at something? I’m very disappointed ’cause it still hasn’t worked yet. He has gotten two injections already on Monday it will be his third one. Please let me know if I’m doing something wrong. Dr U: Letter created and sent, 3 days later. Mom: We have a problem. The last injection he had, he got so tight that that fluid was coming out again. What should I do? The nurse does not want to inject him any more. If you tell one of your employees to come to my house in the morning to inject my son, please, I will pay them. We can’t – he’s to strong he gets very tight muscle contraction and the fluid comes out help please… I hope you got my message earlier. I need to know what to do so my son doesn’t get so tight that his muscle contracts and so the fluid starts coming out… I’m very depressed and anxious and it is to hard for me to stick him. Please call. Mom: Thanks. I saw some videos, but my concern is how long will it take him to talk? There have been 3 shots already and still nothing is coming out from his mouth. How long after do I have to wait? Sorry I’m being annoying. The thing is, I’m concerned that my son is not talking yet. What else does he need for him to start talking? 1. B12 shots 2. Therapy 3. ——– I don’t know please tell me? Dr U: You are not annoying… you are an appropriately concerned mom. I just can’t guarantee what/when is going to be the key to helping speech and language. My experience is that it can take up to 8 shots (1 month), but improvements happen before that (more verbal, singing, eye contact). So far, we’ve been doing OK. This is difficult, but if you and the family are seeing some progress, that should help you get the support that you need to see this through. Mom: I wanted to know if I should do an MRI? I just want to know how much he has and everything. What does a MRI tell you about autism? I made an appt for the MRI. They said it will take up to two hours for the MRI ’cause they order the BAER. What do you think – can he be put to sleep for two hours? She said first they give him something liquid to calm him down, then either IV and the mask. What do you think? I’m just scared? Dr U: The MRI will probably show no abnormalities – if the child has never had any seizures, this would be even more likely to be negative. With that in mind, I do not see the need for an MRI at this time if you are concerned about the anesthesia. Mom: Hi doctor I have few concerns. I want to enroll my son in ABA, but they don’t take my son’s insurance. So I have to pay out of my pocket and you know that program is expense. But my concern is, when they asked me who was the doctor who diagnosed my son with autism, when I said your name, no one has heard about you. They asked me if you are a psychologist or a neurologist. When I say a DAN doctor, they don’t know…What am I supposed to show those people? Dr U: This spawned a flurry of email and faxes to demonstrate that I am a medical doctor, Board Certified in Pediatrics and Neonatal Perinatal Medicine, with my most recent special training provided by the Medical Academy of Pediatric Special Needs. Mom: The ABA therapist came over and did and evaluation… The reason why I’m writing you is cause she also mentioned to me about speech apraxia. She asked me to tell you if you can diagnose him with that so I can give it to CMS Title 21 to the insurance company, so they can approve more hours in speech. Dr. U: Speech is one of the earliest communication skills. Next, comes understanding. Sometimes, understanding comes first, and then the child can become very agitated, and display other behaviors. Yes, speech apraxia – the inability to speak – is a concern. I have documented this diagnosis in your child, already. I think that the course that we are pursuing gives children the safest and most reliable choice, and I am glad to review other options with you. Of course, S&L therapy is indicated. Mom: But do you think that he will not talk at all ever? What do you think ? What else should I do? Put him in more speech therapy, like I was told by a speech pathologist ? Like you said, this is a major concern. Will he talk ever? Dr U: Well, that is why we are giving any protocol that is reasonable and successful the best chance. Speech and language therapy, in addition to the biomedical, is ‘what the doctor ordered’. Mom: I was reading your article on autism and apraxia was is the difference between those two? Is that something that autism kids have also ? Or is that a different diagnose ? Can my son get worse or better in the future? Will the Aba, plus speech and Ot therapy help him get better or will he need something else? Dr U: Speech apraxia – the inability to speak when you want to – is one of the symptoms of autism. The biomedical protocols that we are doing, plus ABA and Speech and Language therapy is the most likely to have success. All of the other protocols that are out there are VERY EXPENSIVE (> $4000 up to $20,000) and have not been documented to work. There are no pills for this and you can’t buy your way out of autism/apraxia. Mom: What else can I do for my son? Speech aphasia is that something to worried about? Dr U: Yes, speech apraxia – the difficulty with your child’s delayed speech – is something to be concerned about. We are doing our best. These are the exact thoughts and letters of every one of our families. Autism, especially when there is speech apraxia, is one of the most difficult diagnosis I have ever encountered, as far as 1) the reason for the problem and 2) the treatment(s). Parents, I understand your worries. This entry was posted on Monday, January 13th, 2014 at 5:20 am	and is filed under >ALL<, Alternative and Complementary Medicine for ASD, Asperger's Syndrome, Autism Therapies, Patient experiences, Reversing autism, Speech and Language, Vaccines. You can follow any responses to this entry through the RSS 2.0 feed. You can leave a response, or trackback from your own site.